Kabir Das, a 15th-century Indian mystic poet and saint, composed during his lifetime couplets that are as simple with their words as they are sublime with their wisdom. If we try to understand the golden meaning behind these dohas, we’ll be able to lead our lives more fully. In this series, we attempt to interpret a few of these very couplets and evaluate their relevance in today’s context. When I went to search for the bad in this world, I found it nowhere. When I looked inside myself, I realised there was no one worse than me. This doha addresses our attitude towards others. When things don’t go as planned, we are often the first to shift the blame onto someone else. As a result, we find ourselves condemning and criticising others. 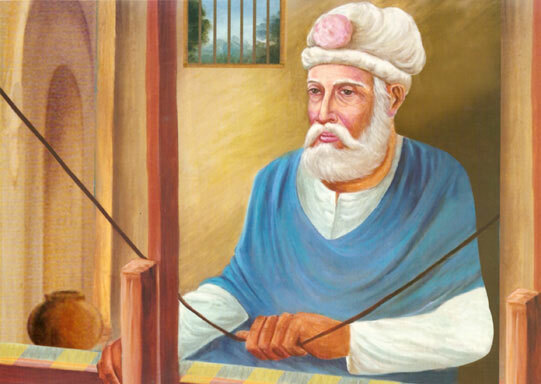 Kabir encourages the reader to first turn inwards before pointing a finger at someone else. The action will make one realise that the finger should be pointed towards one’s own self for we are responsible for our misery. The couplet also emphasises the idea of control, of responsibility. Instead of shaming someone else, someone whose actions we cannot control, we should look inside and see what we can change in ourselves to make the situation better. For, at the end of the day, we can only change ourselves but not others. And that’s what life is about – refining ourselves with each passing second. Go slowly, O mind, for everything happens at its own pace. The gardener may pour a hundred pots of water, but the fruit arrives only when the season for it comes. Nature operates on patience. And this is the very virtue Kabir wishes to highlight through the doha. A seed sprouts into a sapling only after some time has passed and the sapling gradually grows into a tree with fruits and flowers arriving when it’s the right season. The gardener may choose to pour a hundred pots of water (excessive irrigation) but he will not hasten the arrival of the fruits, rather will ruin the process. Similarly, in this dog eat dog world where everyone is rushing to achieve and acquire, one needs to learn how to slow down. Look at our corporate lives, for instance, where we often forget the virtue of being patient. We are in such a hurry to get things done in a snap. However, human existence does not run on the concept of instant coffee. So one should go on making efforts with immense patience and then wait for efforts to fructify. When the times comes all the diligence shall be rewarded. Many have spent their lives studying books, but none of them ever became wise. It is only by learning a few words of love, that one can ever become wise. Go back to a time when you might have met someone extremely intellectual but rude at the same time. Did you enjoy your time spent with him/her? Kabir talks of such people in this doha. He says that it is not the knowledge of scriptures but that of love which makes someone a learned being for love is the ultimate learning. Kabir says those who read the scriptures and have to experienced love can never attain the enlightenment of the wise. For scriptures might teach you why the sun rises in the east or why the flowers bloom in the spring. But what these written words cannot teach is the language of love. And it is this language, whose knowledge makes someone wise. Stay tuned for the next part of this series!